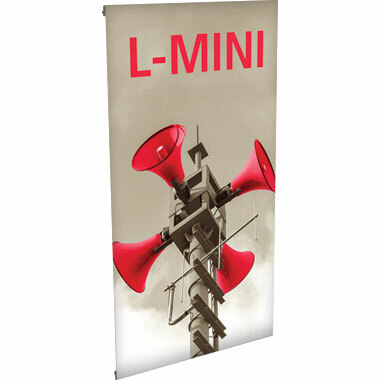 The L-Mini™ is perfect for a table top message. The hardware and graphic conveniently fit in one packing tube. The flat shipping rate for this item is $15 USD for standard delivery within the continental United States. This item is produced in a ISO Standard 14001:2004 ‘Green Certified’ facility. Learn more. Frame hardware is 100% recyclable.